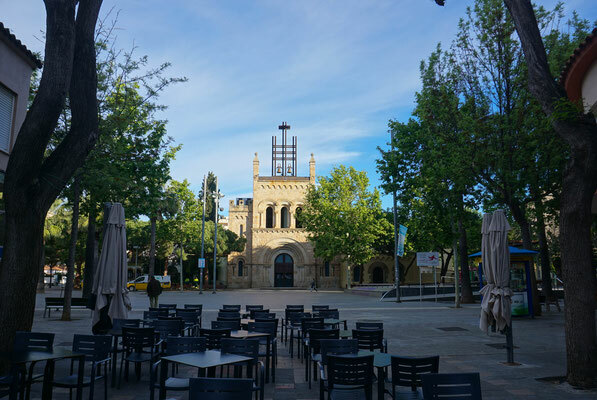 Getaway to Castelldefels – discover Barcelona's surroundings! 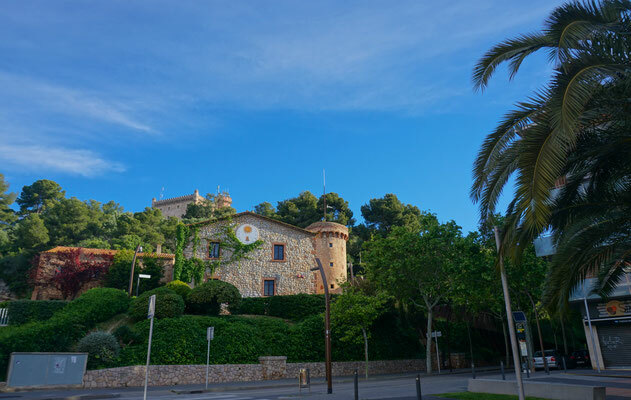 Castelldefels - perfect combination of sea, endless beaches and a little bit of culture! A quick 30 min ride by train from Barcelona will take you to Castelldefels. Not only the 5 km sandy beach is worth the visit, but also the atmosphere of the small town itself. Whether you are looking for a relaxed or active time, Castelldefels has something to offer for everyone. 1. VIEW FROM THE "CASTILLO"
High above the town you will find the castillo (= castle), which is also the reason for the name of Castelldefels. Parts of the beautiful castle were built in the 10. Century and it was used to defend the town from invaders. The way to the castle leads you through a charming park, which fortunately let you forget about the effort of getting up to the top. In any case you will be rewarded with a fantastic view! And if that is not enough, you can join a guided tour to see the inside of the castillo on Sundays at 12.00 (in Spanish / € 5). Different festivals and events also offer the chance to explore the inside. First, prepare yourself with a delicious ice cream from Gelateria Carles to fully enjoy the local hustle and bustle at the square Placa Esglisa. Young and old stroll around making you feel like being part of the town. Also the pedestrian area with its many cafés and restaurants invites you to emerge into the Spanish lifestyle. 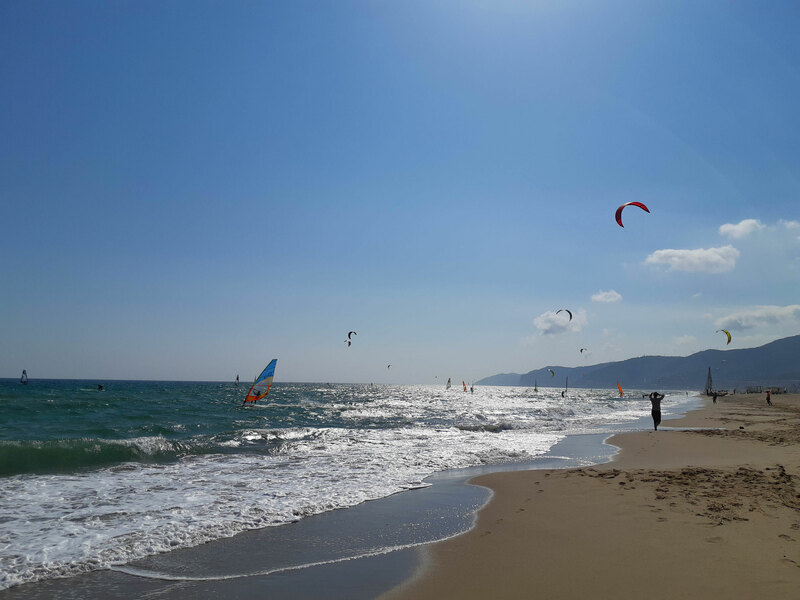 Without question the highlight of Castelldefels is the 5 km sandy beach. Whatever direction you look, you will only see sand and sea. During summer weekends it can be quite busy, however, as the beach is 100 m wide there is enough space for people to spread. If you get tired after hours of tanning and swimming, you can enjoy refreshments at one of the numerous beach bars. Obviously, the beach bars are a bit touristy but for example the Xiringuito Txoko Beach offers a more relaxed atmosphere with less of a crowd. Otherwise, you can pay a visit to the small restaurant Wow being only a stone’s throw away from the beach. Wow offers local food and daily specialities. Two surf schools offer courses, trial lessons or just rent of material throughout the whole year. 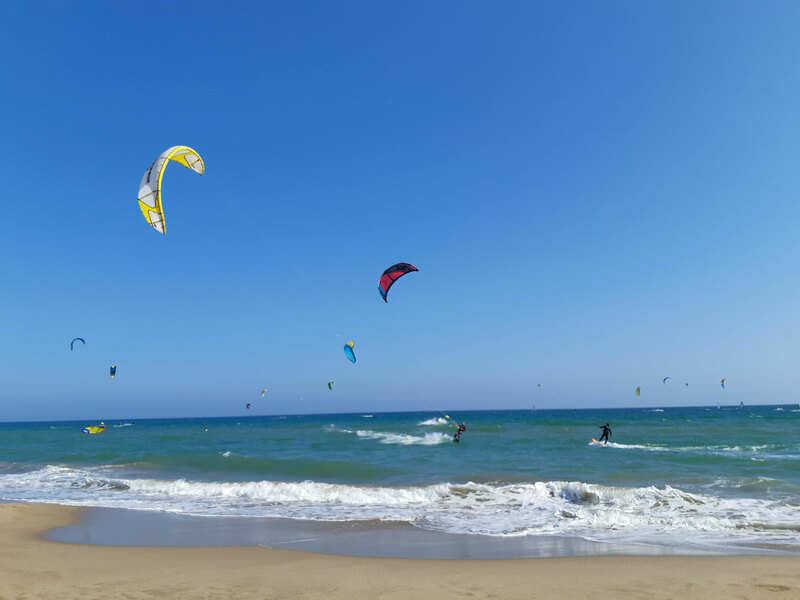 If kite or windsurfing is too adventurous for you, you have the possibility to rent a stand-up paddle or kayak and enjoy the beach view from a different angle. The surf school Garbí is not far from the train station Platja de Castelldefels and the team is always willing to support you in whatever you need. During the summer months we recommend you to contact them in advance (escolagarbi.com – English speaking).